Shipping and packaging are often overlooked by store owners when it comes to improving sites. 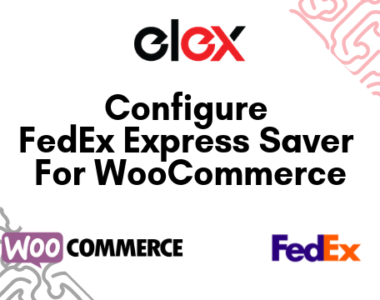 So, in this article, we will discuss the advantages of using WooCommerce FedEx Shipping and go how you can achieve this using the ELEX EasyPost(FedEx, UPS & USPS) Shipping and Printing Label plugin. Improving operational efficiency is critical to the success of any business. As a WooCommerce business, your resources must be focused on product development or marketing as plugins exist that seamlessly extend shipping functionalities. Show customers domestic & international rates from FedEx, USPS, and UPS in real time. Conveniently print all shipping labels from a window. Provide insurance for your order shipments and more. 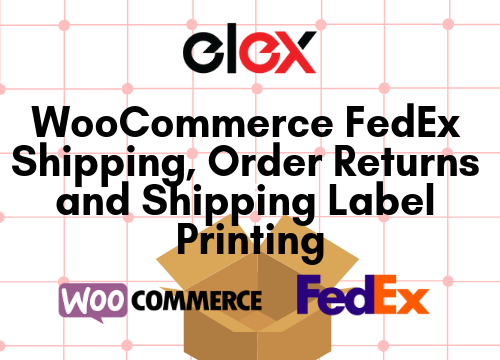 We will go over how ELEX EasyPost(FedEx, UPS & USPS) Shipping and Printing Label methods plugin helps in configuring WooCommerce FedEx shipping as well as the benefits. FedEx is a long time player in the international shipping market. It has the infrastructure and logistics for extending your shipping ranges efficiently and reach new markets. FedEx also provides a number of shipping and packaging options based on what it is that you are shipping, where to you’re shipping and as well it’s dimensions. 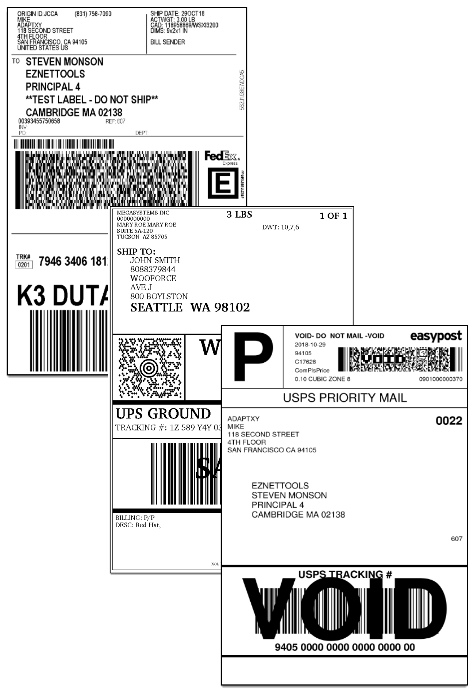 The ELEX EasyPost(FedEx, UPS & USPS) Shipping and Printing Label methods plugin comes with three modes to package items in an order. By default, the items in the customer’s order are packaged individually. If you choose the “Pack into boxes with weights and dimensions”, the plugin uses an innovative box packing algorithm to pack the items into boxes based on the weight and dimensions. This reduces the costs incurred from packaging significantly. By offering WooCommerce FedEx Shipping on your site, you can significantly reduce shipping costs incurred by you. FedEx has the expertise and infrastructure to ensure your orders are shipping in the most cost-effective way. The plugin lets you adjust the price of shipping even further using the Price Adjustment fields. You can adjust the amount by percentage or set amount. This is helpful to account for some unforeseen fluctuations in price or to offer promotional rates. As FedEx handles the shipping, the pressure is no longer on the WooCommerce store to deliver the order to the address on time. EasyPost also offers insurance on shipping. 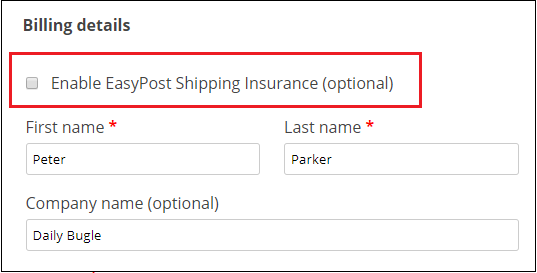 Using the ELEX EasyPost(FedEx, UPS & USPS) Shipping and Printing Label methods plugin you can choose to enable insurance and configure it to be mandatory on all products or let the customer choose. EasyPost Shipping Insurance costs 1% of the order value and a minimum of 1$ to insure packages. An element of transparency is added to your WooCommerce store. 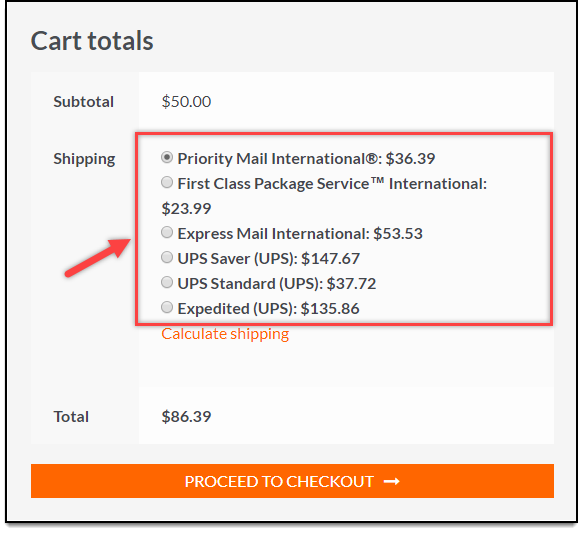 In the checkout page, the plugin fetches the live shipping rates based on the package, where it’s headed and the shipping option that they chose. The applicable options also show a date of estimated delivery. So the customer can choose the option based on when they want the order delivered to them. The customer is shown all the details at the time of purchase and everything is transparent as there are no hidden costs. 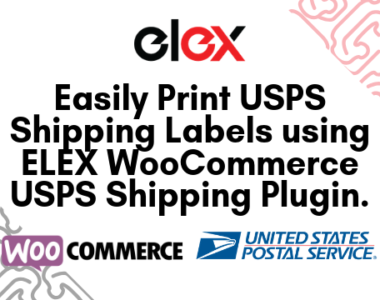 The ELEX EasyPost(FedEx, UPS & USPS) Shipping and Printing Label methods plugin is the best plugin to integrate FedEx Shipping as well as USPS and UPS Shipping. 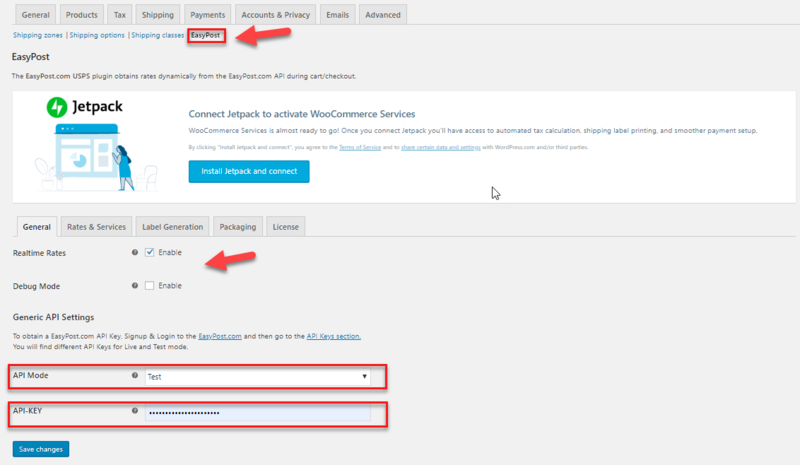 After installing the plugin, it can be configured from the WooCommerce Settings page, under EasyPost. To use the plugin, you need to provide it with an EasyPost API Key. Moreover, EasyPost provides a Test key for exploring and testing out things. 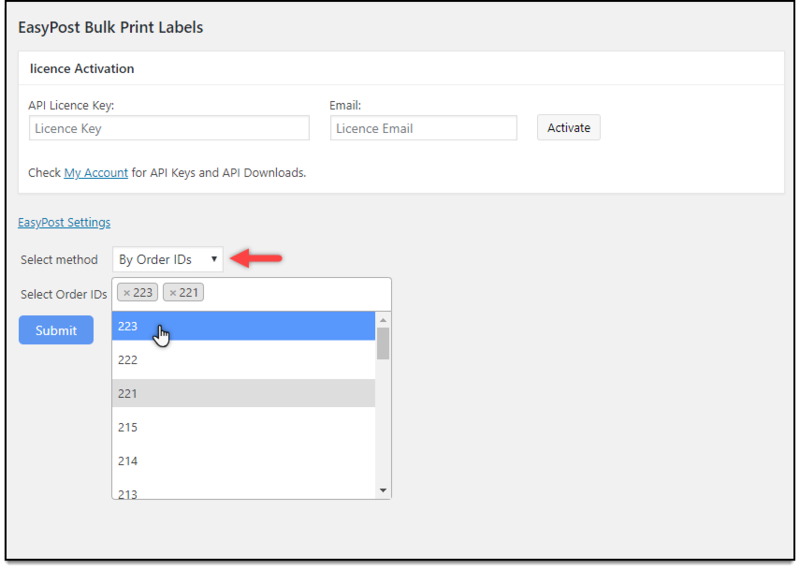 When you are ready to ship products or to buy postage and print labels, you can switch to the Production API key. The API keys can be found in your EasyPost account. After pasting the key in the plugin general tab, click on Save. Fill out the store address. 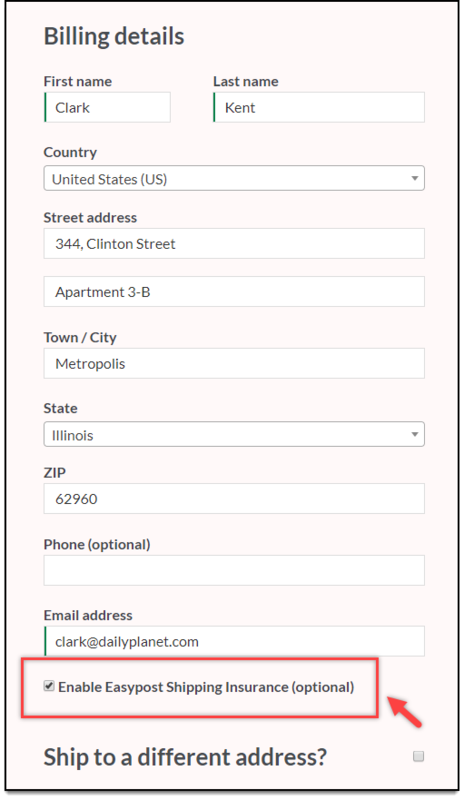 This will act as the origin address unless you wish to provide another address, in which case there’s a separate field for it. 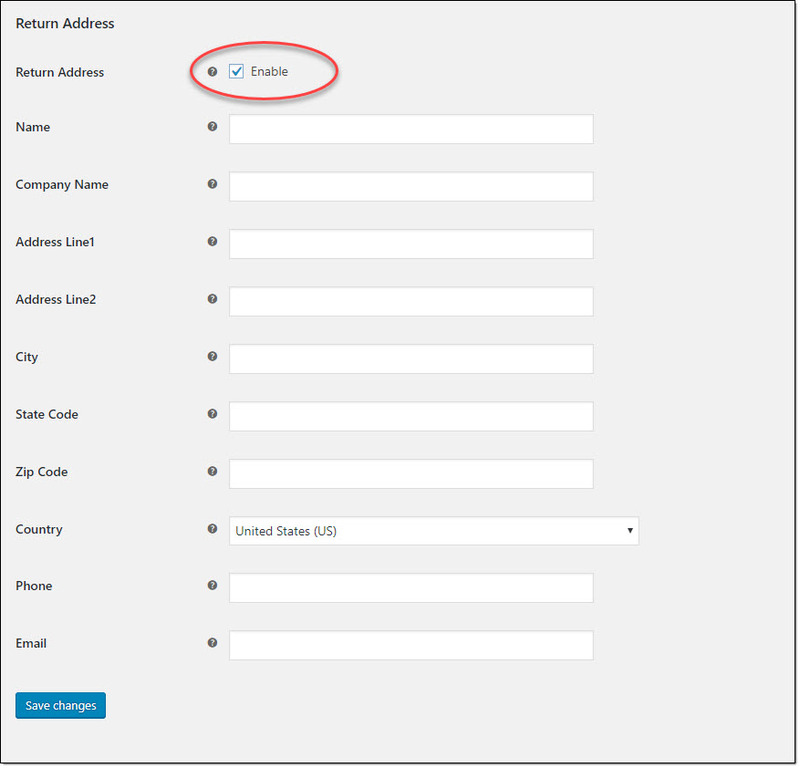 To handle returns, you can even provide a different address by enabling the Return Address option. 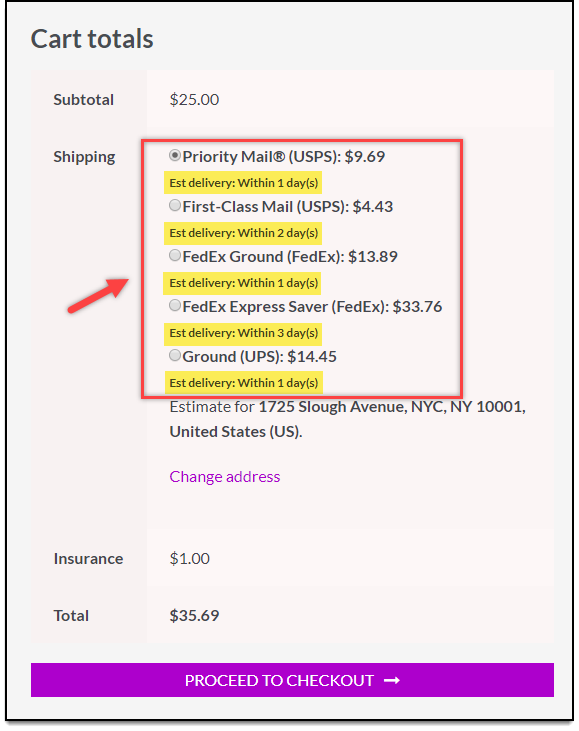 The ELEX EasyPost(FedEx, UPS & USPS) Shipping and Printing Label methods plugin you can offer the following FedEx shipping options to your customers. Moreover, the rates of these shipping options can be adjusted to account for those unforeseen shipping expenses and tax. Additionally, you can offer to cover packages sent via all these shipping options as well. The plugin makes generating and managing shipping labels extremely easy. 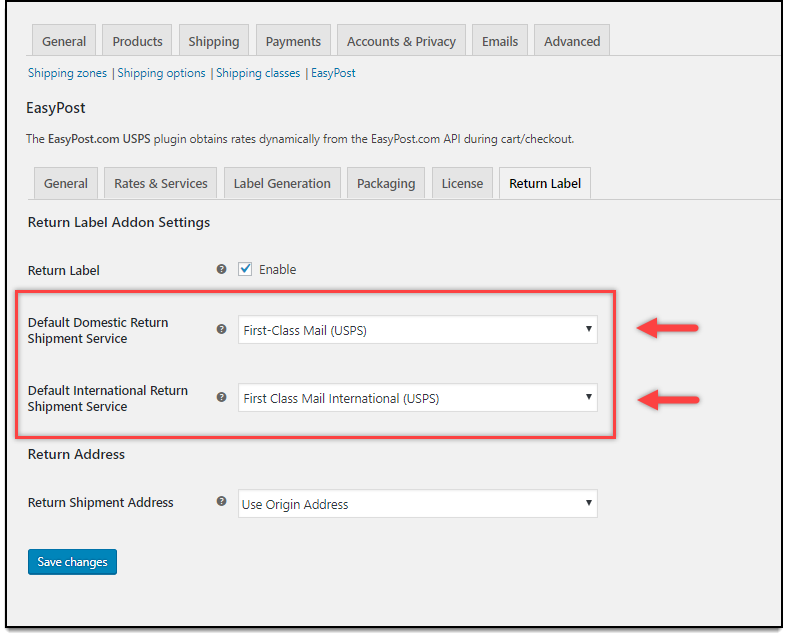 Under the print label settings under WooCommerce > EasyPost, you can configure label printing. The plugin sends an API request to the EasyPost servers to generate shipping labels for not only FedEx but UPS and USPS as well. It gets tiring very quick to print shipping labels one by one. To bulk print shipping labels, use the ELEX EasyPost(FedEx, UPS & USPS) Shipping and Printing Label methods plugin. It has a lot of nifty features that are sure to make your label printing easy. The add-on uses the iLovePDF API to merge the shipping labels printed by the ELEX EasyPost(FedEx, UPS & USPS) Shipping and Printing Label methods plugin. Using the free membership, you can print up to 250 merged PDFs in a month. While this is enough for most small to medium-sized WooCommerce businesses, you can always upgrade your iLovePDF subscription per requirement. 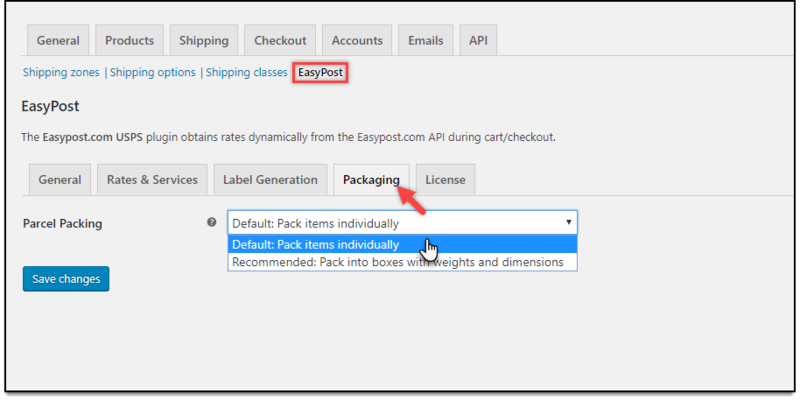 Simply paste the API keys under WooCommerce > Settings > EasyPost > General > ELEX EasyPost Bulk Printing Label Add-On. Once configured, you can bulk print the labels based on the Order ID. 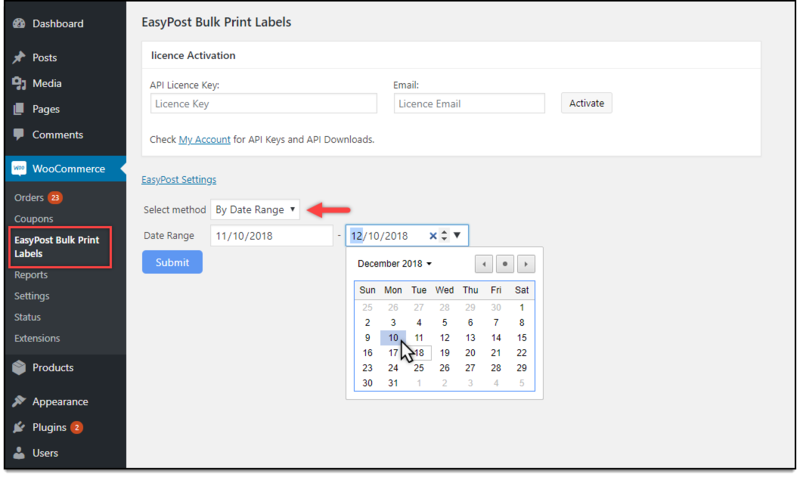 You can even bulk print all the shipping labels in a certain date range if you wish. Next, choose the starting and ending date. Choosing the same starting and ending date bulk prints all the shipping labels generated on that date. Choose the number of orders that appear on the dashboard. Conveniently display all the generated labels in a table format. Access individual orders with a single click. Easily download all merged PDF files. Order returns are a huge hassle for WooCommerce stores. 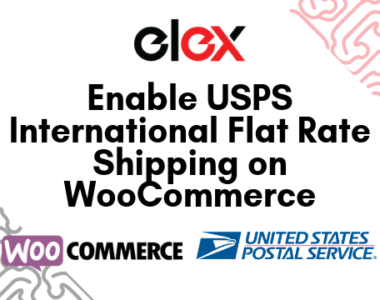 The ELEX WooCommerceEasyPost Bulk Label Printing Add-On lets you handle not only FedEx but UPS and USPS WooCommerce order returns as well. 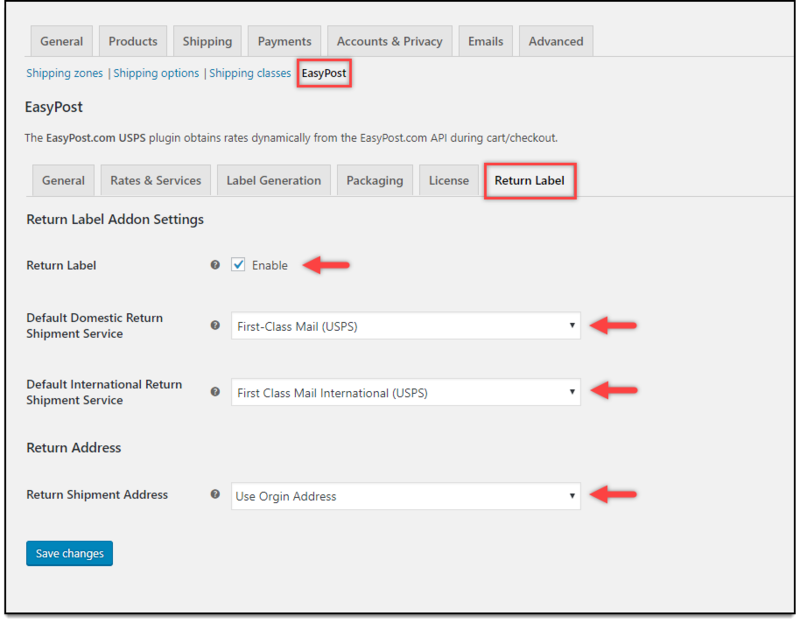 Using the add-on you can specify a custom return address by filling out the address fields under the Plugins>EasyPost>Return Label. Moreover, the add-on lets you configure default addresses for international and domestic order returns. If the customer’s return contains multiple items, the add-on conveniently prints out return shipping labels for every item individually as well specifying the number of labels to be printed. The ELEX WooCommerce EasyPost Auto-Generate & Email Labels Add-On lets you configure email alerts for various stages of shipment. The message to be sent can be fully customized to your liking. Additionally, these notification emails can be sent to the customers, store owners, as well as any custom email of your choice. The add-on even lets you configure email notifications in the event of a failed shipment. Moreover, the email to be sent can be fully customized as well.